Individuals who have wide feet usually obtain them via genetic pathway, carrying around a lot of weight, or traveling with no footwear. It is not a condition having adverse effects, but it does limit the user in footwear selection. Certain brands will apply the wide build, usually terming them in letter sizing. For women, wide shoes come in size "D". For men, wide shoes come in size "E" and extend to size "EE" for those with abnormally wide feet. As it relates to the game of basketball, footwear selections may vary. Brands will use their top models when it comes to featuring existence in all widths but narrowing the selection for the basketball community can be tough. Below we have provided a list of 10 products that will "fit" the user's needs and comfort in sport. We also introduce an innovative buyer's guide to help the user locate trends in production and build. The Crazy Explosive model provides a tailored fix for the wide fit community. Made from synthetic and textile materials, this wide basketball shoe is designed to provide increased support at the ankle area and increase the shock absorption at the outsole. This basketball shoe laces up to the insertion point, helping to create a solid wrap around the front of the foot. The synthetic tongue is thin and meets up with side-by-side ankle supports to provide a circular hold on the ankle. This lockdown technique keeps the foot fastened strong and reduces slippage and inner movement. Boost cushioning is introduced at the insole. This proprietary technology allows the user to gain off their efforts with take-off and push-off increases awaiting those that give a little extra. The interior is lined with textile material. This thin material keeps the foot comfortable and allows for an applied fit to the wide foot. The see-through rubberized sole is truly something to behold with this model. It features an arched design, catering to a form-fitting notion. This responsive outsole helps the user gain the necessary amounts of traction while assisting with push-off. The rear of the outsole features gel-like balls that help reduce pressure on-contact. These gel balls also help the user gain explosiveness from their push-offs, keeping the user's movement agile and quick. The overall weight of the basketball shoe is light, and the coverage keeps a solid hold on all intensive areas of the foot. The mold best suits the average foot and the widened nature makes for a capable pattern to suit larger width feet. The Cloudfoam Ilation is one of their flagship models, coming off as consistent as a basketball shoe can be. To compromise for a wider fit, Adidas utilized their main construction materials in synthetic and textile fabrics to host the proper fit. Naturally, these materials excel in stretching, helping to apply the proper fit at the insertion point. The upper is treated to a leather material, which features a stronger amount of holding capability when compared to lighter material counterparts. The outsole is made up of rubberized material and is also widened to better suit the needs of the consumer. The wide notion slightly increases the overall weight of the basketball shoe, but Adidas utilizes lighter materials in their build, helping to keep the weight in-check. Breathability is increased at the insertion point with a mesh collar that surrounds the insertion point. This keeps a positive air flow to and from the basketball shoe, reducing internal blistering and overheating of the foot. This is a popular practice in the wide shoe space, as the increase in material usage often limits the flow of air. Reinforcement is another key selling point for wide feet shoes and this is seen at the layering of the outsole. These stacked layers help provide additional support to the feet and reduce the amount of pressure at key, undercarriage locations. The outsole also features even-keeled patterning to help accommodate for the increase in size, keeping comfort and stability at the proper level of increase. Bringing elegance to the wide fit space is the Reebok BB4500. This wide feet basketball shoe is termed as a fashion sneaker, but it possesses the necessary inclusions to host usage on the basketball court. The synthetic build features heavy levels of reinforcement throughout the outer shell covering. Side-by-side supports are noticed at the midfoot, providing ample lockdown in this area. A flat outsole is something that creates consistency for users with wide feet. This helps to reduce the push and pull on the foot and creates a reliable platform for push-off and explosions. A wide, mesh tongue greets the top of the foot with comfort extensions and proper lockdown. Side-by-side synthetic supports are located at the ankle region, reducing movement in this area. This keeps the user stable when performing adverse movements and increases the effectiveness of their lateral development. This is a high-top model with a mid-rise design, which helps increase the size of the insertion point and reduce the friction near the ankle area. The insertion point features a thick padding and allows for flex at the sides, helping to cater to any foot size. The reinforcement means help keep the wide feet basketball shoe strong and durable, withstanding pressures and outlasting wear. The outsole is also treated with high abrasion resistance, keeping this model as a contender to outlast the test of time. Nike has also expanded their vast product lines to meet the needs of the wide foot user. One of their top selections in this category is the Air Overplay IX. This high-top model provides the support and the stability the user needs to excel in the fast-paced game of basketball. The wide feet basketball shoe is made from synthetic means, keeping the overall weight of the shoe low and consistent throughout the build. The upper is treated to a mesh tongue that spreads the overlay to a wider basin, locking down the top of the foot with ease. Side-by-side extensions are placed at the sides of the ankles, which increases the overall stability and support in this region. These inclusions offer an ample amount of give, allowing the user to fit with ease. The rubberized outsole carefully blends with the midsole to provide ample support, proper footing, and increased shock absorption. The heel rest is encapsulated, helping to reduce movement in this region. It features wide coverage and ample padding, molding to the fit any foot size. This helps increase torsion for the user and reduce wear and tear on the heel. The mesh upper also features a padded overlay, which helps limit the effort needed for foot insertion. Once inserted, the padded interior helps lockdown the foot in the proper positioning and greatly reduces internal movement. This is a support mechanism needed to reduce twisting at the ankle. The outsole is patterned with rubber extensions that help cater to the pressure points on the foot. This helps to deter pressures away from these key areas, producing fluid and comfortable movements for the user. Adidas holds a steady presence in the wide feet basketball shoe space and their Crazy 2 model creates a fun look at functionality. This eye-popping design pattern is something that is sure to catch glances on and off the court. Aside from the visual appeal, this basketball shoe houses many functions that are perfect for the wide foot user. The first area of importance is the tongue of the wide feet basketball shoe. The build starts at the toe box and extends to the insertion point. This length allows for the proper fitting for all foot sizes, making it an effortless model to get into. This extended tongue is made from a breathable mesh material, keeping air streams open to all areas of the foot. This design also allows the user to apply the proper tightness, caving the side panels to the side and top of the foot. This creates self-applied lockdown and keeps the user in control of their comfort. The second area of intrigue surrounds the outsole. The design of the basketball shoe features a wavy pattern. This pattern is continued at the outsole, applying a stacking technique of the rubberized materials. This helps to reinforce the blows that extend from push-off and landing. This stacking technique works to keep the wide feet basketball shoe responsive to the user's movement. This design is also present in the undercarriage, with deep, wavy grooves cut into the rubber. This helps the basketball shoe respond to direction changes, keeping your stability high and preventing slippage. 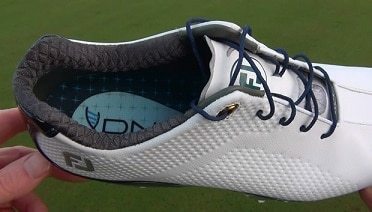 Under Armour is another top competitor in the wide fit space and their Fireshot model holds a lot of intrigue in terms of design and capabilities. Comprised from mainly synthetic materials, the wide feet basketball shoe features a reinforced build and a stretchy material covering the outer shell. This coverage is utilized primarily for abrasion support, but it also offers proper fitting and stretch at the midfoot area. The upper utilizes Under Armour's CompFit technology. This keeps the insertion point as a wide round, allowing for easy fitting. The circular nature also provides ample lockdown support at the ankle while introducing comfort streams to this area. The outsole is a from of injection-molded rubber, which keeps the overall weight of this area light. The undercarriage features a spider web design that helps provide traction on any type of surface. This makes it the perfect fit for the game, applying directional changes and lateral movements with ease. Micro G technology is utilized at the interior. This is a form of thin sock liner that applies comfort to the bottom, sides, and top of the foot. Breathability is addressed at the midfoot and upper with mesh treatment. This keeps the foot from overheating and creates positive streams of air flow for increasing stamina and reducing wear. For the wider fits, it is rare to find a flagship model that supports this notion. One of the largest name brands, Nike, releases their Kevin Durant models in these sizes, attaching a popular name to an applied design. This fourth installment in the KD line introduces some new design techniques and generates proper flow from front to back. This model utilizes foam and mesh materials to comprise the primary make-up. Mesh covering greets the outer shell, keeping the fit flexible to differing foot widths and sizes. Foam injections are included under the mesh for ample padding and protection. The upper of the basketball shoe is adjustable, allowing you to apply the correct fit and reduce your effort upon insertion. There is an introduction of the patented ZoomAir technology at the midsole. 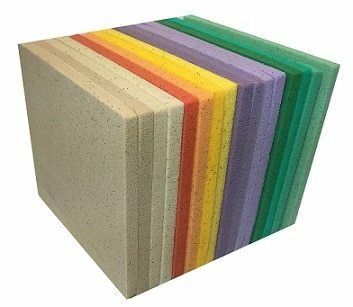 This softly padded foam plays a large role in absorbing shock and cushioning areas of impact. The outsole is treated to deeper grooves at the undercarriage. These grooves allow for a greater range of flex in your push-off, catering to the lateral movements involved with the game. The heel counter has also been redesigned to stack the support components. This helps to create layers of backing, keeping your movement upright and helping reduce pressures that extend to your back. The toe box also widens to accommodate larger feet and reduce upon your toes being squeezed together. This function is essential to emitting the proper free-flowing movement from the toes and allowing them to rest flat within the bed. Nike also extended their production reach for their Jordan-branded lines to establish the logo on a wide feet model. The CP3.X is a popular take on a mid-rise fit, holding premise with the name attached to this model. Comprised from primarily mesh materials, this lightweight model allows for flex in all exterior regions, allowing for a simple and easy fit. TPU support is introduced at the lateral region, which directly works with movement to keep you stable and operating in an effective nature. ZoomAir technology is infused within the midsole of this model. This light cushioning takes properties of foam to fit the foot to the correct degree. It also works to barricade the foot against harmful shocks and pressures. The main design of the basketball shoe helps to keep a low-profile design and functioning present throughout key areas. The midsole is kept thin to the outsole. These two soles combine their properties to keep the overall weight of the basketball shoe low. This also helps the user emit more agile and quick movements with anything from their push-offs to their cutting. Anta is another brand that hosts production in the wide varieties. Their Light Trainers apply the perfect means for inducing proper fit and keeping you quick on your feet. The basketball shoe is made up of synthetic, leather, and mesh materials, giving you a sampling from all the major production materials. A large, mesh tongue greets the top of the foot with comfort and applies lockdown support. Trailing off from the tongue is a large dip into the insertion point with a large extension at the heel counter. This valley makes for easy fitting of the foot while still applying the correct means for lockdown and support. The outsole features an even undercarriage, which helps induce the proper amounts of traction and stability. As the outsole trails to the rear of the basketball shoe, it hikes to give the heel rest an increased amount of support and shock protection. This large portion of the outsole helps keep the heel supported and helps the user emit the proper force for excelled push-off and landing. The outsole is made from EVA rubbers, keeping the overall weight of the basketball shoe down and the traction high. The mesh treatment covers a large portion of the outer shell, allowing the proper give for users with wider feet. This shell design also helps lower the weight of the shoe immensely, which is a good sign in a basketball shoe. This design promotes quick movements and cutting without compromising for holding techniques in the ankle area or at the insertion point. Tracing the origins of wide feet basketball shoe production, we find the And 1 brand as one of the earlier production companies. This longstanding notion calls for an inclusion in the wide fit space and that is where their Men's Havok model excels. This mid-rise basketball shoe cites mesh and synthetic materials in the build, which are two components that contribute to lightweight functionality. One of the main areas of intrigues with this model is located at the midfoot. Two extension panels rise from the outsole and reach to the upper. These panels help create lockdown overtop the foot and keep proper footing at the interior. Their synthetic design also makes them proponents for proper abrasion resistance. The midsole is treated to a lightweight, EVA design which directly contributes to increased shock absorption and a comfortable ride. A TPU shank is inserted at the heel of the interior. This keeps the user operating in the correct, upright position. It also reduces slippage and provides the ample amount of support needed to perform adverse movements. The outsole is treated with a rubberized material that is both abrasion resistant and non-marking. The undercarriage of this region utilizes a herringbone design, which applies grooves to the primary areas of push-off and usage. This keeps traction high and counters for lateral movements. Side-by-side supports are also utilized at the insertion point, keeping ankle placement in the proper alignment. Dual panels at the midfoot and insertion point increase the effectiveness of lockdown in this model. When it comes to defining if you have wide feet or not, you should start with tracing the family tree. Most conditions of wider feet have high correlations to hereditary connections. You may have inherited this size through your bloodline, leaving no question as to why you have flat feet. On some occasions, we can develop flat feet. One of the main causes of development is carrying around additional weight. If you are constantly bogging your body down with heavy gear or you are overweight, you will be applying more pressure to each step you take. Over time, this causes the feet to spread out, leading to an increase in width. You can also obtain flat feet by traveling without footwear. People who spend more time barefoot will be at a greater risk for an increase in size. While some activities are better performed barefoot, this notion still exists and is a cause for widening the foot. Length of the foot, rise of the arch, and curvature of the toes can all make for candidates for width increases. Applying the knowledge to these additional conditions, we cover a large portion of the consumer base. As you can see, there are many different factors that you should take into consideration when deciding if you need the wider fit or not. For wider feet, it is important to find stability with your basketball shoe elements. One of the most important elements is the outsole. This area often takes on many different shapes, designs, and material builds, calling for a narrowed focus for the user to follow. One of the most popular builds for benefiting the wide feet user is the layering of materials. Stacking the rubberized or foam components helps strengthen the bottom of the basketball shoe. A stronger build also holds together better than materials that feature little reinforcement or allow for flex. Since the base features a wider spread, it needs to apply a greater attention to consistency in make-up to ensure the proper hold. Stacking this area keeps the materials closely knit to one another, linking the strength to the expansion in size. Meshing with the midsole represents another area where the outsole of a wider basketball shoe can excel. It is all about creating the reinforcement in build because the basketball shoe must account for the surface area increase. The insertion point for the foot represents the second area of focus for the wide foot user. Insertion points can adopt many different styles, formats, and designs. 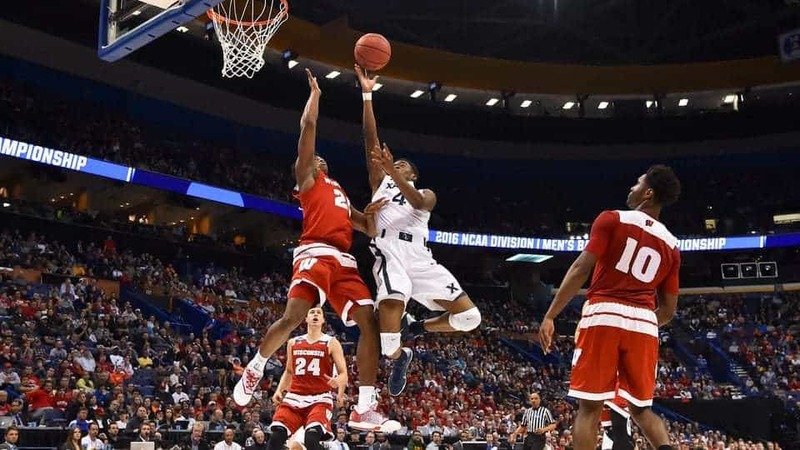 With the many different designs being utilized at the upper of the basketball shoe and within the tongue, it is important to address any areas of concern. The desired material use for the tongue is mesh or a light comparison. This gives the tongue flex and allows you to adjust the location of the tongue for proper insertion. Side-by-side mechanisms are useful to developing to the proper hold on the ankle, but if they are comprised of a plastic-like material or offer little give, they can present a hassle when it comes to getting your foot in the basketball shoe. If you can bend these items back or they can be self-adjusted, you can afford yourself a large enough area for you to slip your foot in the shoe. A second design for the insertion point that really benefits the user is a sloping pattern. An extended tongue, followed by a dip before reaching the heel of the basketball shoe is the proper design for inclusion of this method. This keeps the lockdown and supportive measures prevalent while also allowing you to get into the basketball shoe. You want to ensure you aren't sacrificing supportive measures, but you have to be able to access the shoe with your foot. These two mentions are the most commonly used methods, but we also noted of a model that featured a tongue that extended from the toe box. Knowing the different designs can help you obtain the supportive and lockdown capabilities and still host a comfortable fitting. The midfoot area of a wide feet shoe is often an area of controversy. Most foot types will feature a narrow middle, with the greatest widths extending from the toes and the heels. Users who have wide feet will often have a midfoot that extends beyond average size, falling out of range of most regular basketball shoe molds. This makes fitting the molded shoe types difficult. Mesh materials or other light comparisons utilized at the outer shell of the shoe mark for the proper fit for the wide foot user. If the mold is set to the average foot size, these stretchy material combinations help make up for the lack of sizing in construction. Some basketball shoe types will introduce paneling or extensions to the upper at this region, but this shouldn't cause concern. These inclusions are placed on the various footwear models to increase support and lockdown at the midfoot area. The properties that the wide foot user would be looking for out of these inclusions would be flexibility. If these inclusions allow some give and can be pushed back or stretched, they will make for a sound inclusion. As the materials get stronger and the resistance decreases, the user will have to account for their size at the midfoot region. After creating individual reviews and diving into some of the areas to focus on with your purchases, we have two separate top candidates for selection. The editor's choice, which is not biased to price range, would be the Adidas Crazy Explosive model. This model utilizes many different techniques that are essential to the game. The outsole design is geared towards benefiting the transitional player. It helps you gain the proper amount of explosiveness from your push-offs, helping you reach your destination quickly. These properties also benefit any skill set types, affording them an element of surprise and effectiveness with the agility gains. The price point remains competitive with the other major brands, which also helps make a positive case for this model. The insertion point wrap completely surrounds the ankle, providing excellent support. If it is value you are searching for, look no further than the Adidas Cloudfoam Ilation model. The price point is well below the other mentions we placed on our product list. Taking this into account with the brand, the win-win situation is forever prevalent. It features similar material usage as other top-line Adidas releases. It also holds similar properties to other, high-end releases. It is a high-top mold that widens the base at all areas, making it the proper selection for the wide foot user. When it comes to addressing the wide foot concern, remember to keep flexibility at the top of your list. Mesh, synthetic, and textile materials are both forgiving and stretchable, allowing the user to host the proper fitting. Also know that the wide basketball shoe model might also be addressed for the user with higher arches, longer feet, or a toe defect. A basketball shoe that adjusts for the user's needs will present the best fit for the basketball court.